In addition to being a safe place of refuge, Matt Talbot works to connect people to resources that take care of the whole person - providing beyond basic needs to embolden people to have hope. Outreach staff provides information and referrals to guests who may benefit from services offered at agencies in the community. 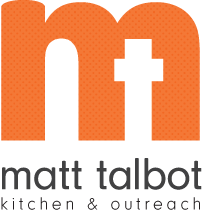 And because many of Lincoln's working poor and homeless come to Matt Talbot for meals, other human service agencies who serve the homeless and those living in poverty come to Matt Talbot to do outreach and serve guests in the dining room.